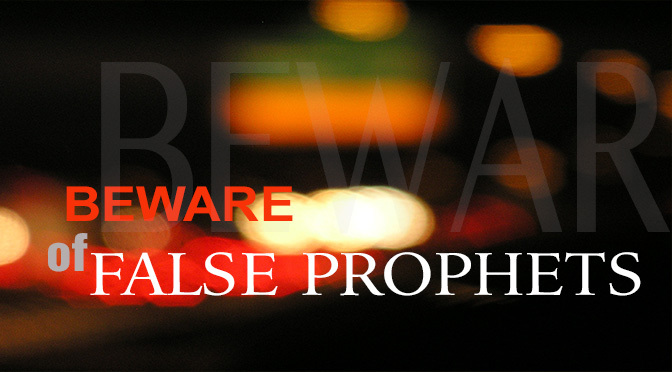 The reason God’s people are blind to the time and have not seen His coming is the lies of false prophets and false teachers among them – lies such as the rapture. They know it’s the time, but they do nothing because they are waiting for an event that will never happen. The LORD has come with mercy, first calling the deceivers to repentance and giving them a chance to save themselves from the consequence of their lies. Of course, as we know from the pattern in the prophets, these men have rejected the LORD at His coming, and in refusing Him, forsake their own mercy (Jonah 2:8). As we understand, by the LORD’s enlightening us, His mercy, coming to pull them from the fires their own ideas have caused, is the event these men have twisted into the rapture deception. We know this event is spoken of using the word harpazo; rendered “caught up” in 1 Thessalonians 4:17 and “pulled” in Jude 23. Both are describing the LORD acting through us, His messengers, as we, by His truth, pull these same men, deceivers and the deceived, from the fires they, by their deceptions, have caused in the earth. As Peter tells us, these men are the false prophets and false teachers among us, who have brought in damnable heresies, even denying the LORD who has bought them from this same darkness. He says that in this state of ignorant stupor, the way of truth will be evil spoken of. We will see this point manifested into reality as this truth is posted, as the evil spirit in the deceived, the power that now works in the children of disobedience, at the posting spews hate. This itself fulfills the scripture that says, “they hated me without a cause,” and “the reproach of them that reproach the LORD has fallen on us.” In this these people blindly and ignorantly reject the LORD at His coming to rescue them, and hate us for speaking His truth as His will and charity is acted out through us. 7 Even as Sodom and Gomorrah, and the cities about them in like manner, giving themselves over to fornication, and going after strange flesh, are set forth for an example, suffering the vengeance of eternal fire [see verse 23 below]. 9 Yet Michael the archangel, when contending with the devil he disputed about the body of Moses, durst not bring against him a railing accusation, but said, The LORD rebuke you. 11 Woe unto them! for they have gone in the way of Cain [that wicked one, and slew his brother. And wherefore slew he him? Because his own works were evil, and his brother’s righteous. 1 John 3:12], and ran greedily after the error of Balaam for reward [cursing God’s people], and perished in the gainsaying of Core. 13 Raging waves [swelled with pride] of the sea, foaming out their own shame; wandering stars [having lost their fixed positions in heaven and wander away from the LORD’s truth], to whom is reserved the blackness of darkness [ignorance] for ever. 23 And others save with fear, pulling [harpazo] them out of the fire; hating even the garment spotted by the flesh. [The event these men have twisted into a rapture – the lie which itself will consume those who remain with it into perdition. It is what is spoken of in Jude’s mentioning Enoch in verse 14, who the LORD first pulled from these same fires]. The name Enoch is said to mean dedicated, from the Hebrew word chanak, a five times used word, meaning to initiate or discipline; translated three times dedicated, once as dedicate, and once as train up. The description of Enoch is telling of him walking with the LORD, being open to correction and thereby trained up into agreement, and by this pulled from the fires of the earth, which he is quoted describing in Jude 14 & 15 above. Chanak is used to tell of dedicating a house, and twice of dedicating the house of God, as in initiating it based on this principle. It is the word rendered “train up” in Proverbs 22:6, telling of teaching a child when he is young, and when he is old he will return to what he has learned. It is referring to what is written in 1 Corinthians 13, of a child only partially understanding what he has been taught, until he has learned from life’s experiences; then fully understanding, returning from where he has strayed. It is speaking of man as the child, who has now grown, seen, and should return to God who he walked with when he was younger. 2 And though I have the gift of prophecy, and understand all mysteries, and all knowledge; and though I have all faith, so that I could remove mountains, and have not charity [If I don’t freely give what has been given to me through these gifts], I am nothing. 3 And though I bestow all my goods [material possessions] to feed the poor, and though I give my body to be burned, and have not charity [if I don’t freely give these true riches, the word that flows from the mouth of God, by which only do men live], it profits me nothing. 12 For now we see through a glass, darkly [in ignorance]; but then face to face: now I know in part; but then shall I know even as also I am known. 13 And now abides faith, hope, charity, these three; but the greatest of these is charity [the character, love, of God acted out through us]. 5 Thorns and snares are in the way of the forward [those who twist and pervert truth]: he that does keep his soul shall be far from them. 8 He that sows iniquity shall reap vanity: and the rod of his anger shall fail. 18 For it is a pleasant thing if you keep them within you; they shall withal be fitted in your lips. 19 That your trust may be in the LORD, I have made known to you this day, even to you. 21 That I might make you know the certainty of the words of truth; that you might answer the words of truth to them that send unto you? 28 Remove not the ancient landmark [understanding the boundaries that should not be crossed – speaking of turning truth into a lie], which your fathers have set. 29 Sees you a man diligent in his business? he shall stand before kings; he shall not stand before mean men. The one sentence that initially describes the event is Genesis 5:24, which says, “And Enoch walked with God: and he was not; for God took him.” The word here rendered “took,” the Hebrew word laqach, which is rendered “get” in verse 25 above, where it is speaking of the eventual product of what is learned. It is also used in verse 27, translated “take away,” here again speaking of being taken in what a person learns and joins. Friends, this is how God has taken us, as He took Enoch, out of the corrupt world and its fires, out of the darkness and agitation of ignorance, into heaven where truth and understanding are enthroned. We have walked with Him, learning His word into agreement with His mind, the mind of Christ freely given to us by receiving His word as the word of God, which it truly is. This is as Paul describes in 1 Thessalonians 2, speaking of those who when they “received the word of God which you heard of us, you received it not as the word of men, but as it is in truth, the word of God, which effectually works also in you that believe.” Paul tells us this is the entrance preached to you, into the kingdom of God, and receiving it you are in the presence of the LORD at His coming. I urge all to do the same. 13 For this cause also thank we God without ceasing, because, when you received the word of God which you heard of us, you received it not as the word of men, but as it is in truth, the word of God, which effectually works also in you that believe. 18 Wherefore we would have come unto you, even I Paul, once and again; but Satan hindered us [the spirit that worked in these unreasonable and wicked men, and is the power that now effectually works in the children of disobedience]. We have often discussed the LORD’s way in the depths, His deep thoughts, which He reveals in a time of His choosing, to those He chooses, and from the wicked, this light is withheld. Here are such words from the Book of Enoch, when He speaks of this day and the LORD’s coming as He HAS. 1 The word of the blessing of Enoch, how he blessed the elect and the righteous, who were to exist in the time of trouble; rejecting all the wicked and ungodly. Enoch, a righteous man, who was (1) with God, answered and spoke, while his eyes were open, and while he saw a holy vision in the heavens. This the angels showed me. Here are a few of the later chapters that come in a series of three parables. 4. From that period those who possess the earth shall cease to be powerful and exalted. Neither shall they be capable of beholding the countenances of the holy; for the light of the countenances of the holy, the righteous, and the elect, has been seen by the LORD of spirits. 5. At that time my eyes beheld the dwelling of the elect, of truth, faith, and righteousness. 6. Countless shall be the number of the holy and the elect, in the presence of God for ever and for ever. 8. There was I desirous of remaining, and my soul longed for that habitation. There was my antecedent inheritance; for thus had I prevailed before the LORD of spirits. 9. At that time I glorified and extolled the name of the LORD of spirits with blessing and with praise; for he has established it with blessing and with praise, according to his own good pleasure. 10. That place long did my eyes contemplate. I blessed and said, Blessed be he, blessed from the beginning for ever. In the beginning, before the world was created, and without end is his knowledge. 11. What is this world? Of every existing generation those shall bless you who do not sleep in the dust, but stand before your glory, blessing, glorifying, exalting you, and saying, The holy, holy, LORD of spirits, fills the whole world of spirits. 12. There my eyes beheld all who, without sleeping, stand before him and bless him, saying, Blessed be you, and blessed be the name of God for ever and for ever. Then my countenance became changed, until I was incapable of seeing. 7. For in his name shall they be preserved; and his will shall be their life. In those days shall the kings of the earth and the mighty men, who have gained the world by their achievements, become humble in countenance. 8. For in the day of their anxiety and trouble their souls shall not be saved; and they shall be in subjection to those whom I have chosen. 10. But in the day of their trouble, the world shall obtain tranquility. 1. In those days the saints and the chosen shall undergo a change. The light of day shall rest upon them; and the splendor and glory of the saints shall be changed. 4. Henceforward I will not have mercy on them, says the LORD of spirits. The Hebrew word laqach is used in Isaiah 28:19 to tell of being “taken” by the LORD, by His teaching, and the only vexation is to understand this report. 19 From the time that it goes forth it shall take [laqach – as I took Enoch] you: for morning by morning shall it pass over, by day and by night: and it shall be a vexation only to understand the report. 21 For the LORD shall rise up as in mount Perazim [as a breaking forth of great waters – His word], he shall be wroth as in the valley of Gibeon [as great hailstones from heaven – water that have been frozen, so they couldn’t be understood until this time of heat and melting], that he may do his work, his strange work; and bring to pass his act, his strange act. When Enoch, in Enoch 1:5, speaks of the “Watchers” they are the wicked Jeremiah describes in Jeremiah 4:16, whose ways and ideas have made the earth become without form and void. They are the wicked, false prophets and false teachers among us as fallen angels – messengers of darkness, leading into death and hell. 13 You shall arise, and have mercy upon Zion: for the time to favor her, yea, the set time, is come. 14 For your servants take pleasure in her stones, and favor the dust thereof. 15 So the heathen shall fear the name of the LORD, and all the kings of the earth your glory. 24 I said, O my God, take me not away in the midst of my days: your years are throughout all generations. 25 Of old have you laid the foundation of the earth: and the heavens are the work of your hands. 28 The children of your servants shall continue, and their seed shall be established before you.